Jesus came and stood in their midst […] he showed them his hands and his side. The disciples rejoiced when they saw the Lord. On occasion, various modern theologians will speculate as to the quality of Christ’s risen and glorified body. Some will affirm that – since what was sown in mortality is raised in immortality, and the corruptible is raised incorruptible – the resurrected body of our Savior is not really a physical body. Indeed, this was a question or doubt which has existed since the first apparitions, when the disciples often thought that they were seeing a ghost or spirit. This question, whether Christ’s glorified body is a physical body, has great importance for our belief in the general resurrection on the last day. If Christ’s body were not physical, then neither will the glorified bodies of the saints be physical. However, if the glorified body of the Savior is a physical body, then so too will it be for the saints. In such matters, reason alone can do nothing – we must turn to the witness of Scripture. In particular we consider the accounts of this Sunday’s Gospel as well as the Gospel readings from the rest of the Easter Octave. Time and again after the Resurrection, the Good Jesus proved to his disciples (both through his words and his actions) that his glorified body was a true and physical body. Before considering what it means to state that the glorified body is “physical,” we consider the relevant verses. A body which can be seen, touched, and handled, a body which can touch, can breath (as our Lord breathed upon the Apostles), can eat, a body which bears the marks of the crucifixion is certainly a physical body. Indeed, in order for a body to be a body, it must be physical – for that is what a body is: A hunk of matter [the word “body,” does not refer merely to a human or animal body, but to any portion of matter – as in, “a body in motion tends to stay in motion…”]. “Given all these testimonies, Christ’s Resurrection cannot be interpreted as something outside the physical order, and it is impossible not to acknowledge it as an historical fact” (CCC 643). “By means of touch and the sharing of a meal, the risen Jesus establishes direct contact with his disciples. 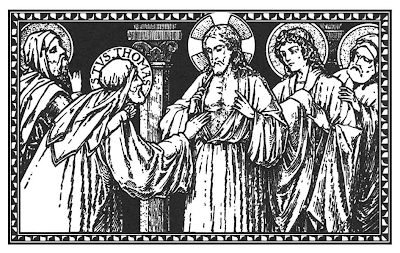 He invites them in this way to recognize that he is not a ghost and above all to verify that the risen body in which he appears to them is the same body that had been tortured and crucified, for it still bears the traces of his passion” (CCC 645). Indeed, in order for the Resurrection to be a true re-surrection, it is necessary that the very same physical body which was laid in the tomb be also raised on the third day. If the risen body is not physical, then it is not the same body which was crucified, nor is it a “body” at all, but a spirit. Remember, St. Paul said that the body would be raised immortal and incorruptible – but he did not say it would be raised immaterial! 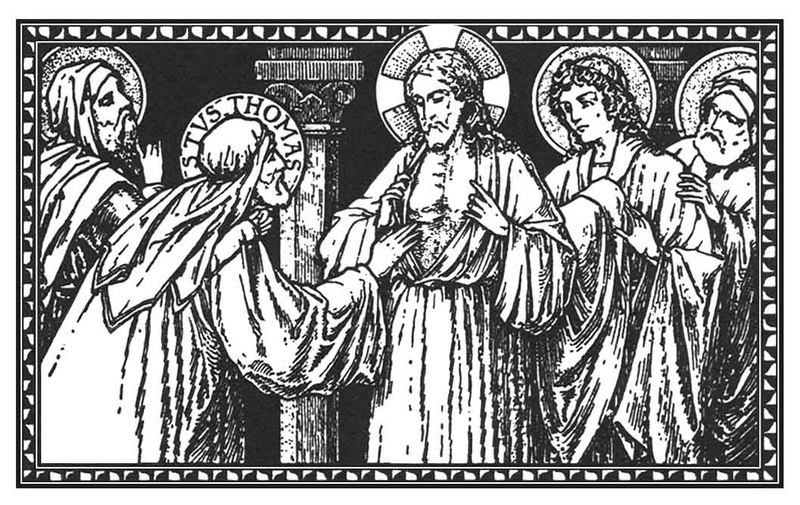 Still, while the risen body is indeed physical, “this authentic, real body possesses the new properties of a glorious body: not limited by space and time but able to be present how and when he wills; for Christ’s humanity can no longer be confined to earth and belongs henceforth only to the Father’s divine realm” (CCC 645). And what are the new properties of the glorified body? Impassibility, subtlety, agility and clarity. Today, we will consider the first two; next week, we will consider the remaining. By impassibility, we mean that the risen body of Christ is totally subject to his rational soul which, in turn, is totally subjected to God – therefore, his passions in no way move the body contrary to the soul. This, of course, was always the case for our Savior; since he suffered no least internal imperfection of the passions. By subtlety, we mean that the risen body of Christ is in some way like a spirit. However, it would be a heresy to claim that the risen body is a spirit or that the matter has been rarefied to be like the air or the wind. Rather, we must hold that the risen body of Jesus is subtle insofar as the body is perfectly subject to the soul. The new dominion which the glorified soul of Christ now has over his body is the reason of which his glorified body is said to be spiritual. This subtlety is the foundation of all the other properties of the glorified body. Is the risen body of Christ subject to space and time? The Catechism of the Catholic Church very clearly states that the risen body of Jesus is “not limited by space and time” (CCC 645). However, we must qualify this claim. Obviously, if the risen body is physical, before the Ascension, it is present in (if not limited by) both space and time. Jesus really did appear to his disciples in time (mostly on Sundays) and in space (whether near the tomb, or in the upper room, or on the road). Moreover, although the Lord suddenly appeared and disappeared before his disciples, it is not possible for any physical body to teleport or to enter into and to fall out of existence. Rather, when Christ came into the upper room (as in our Sunday Gospel), he walked through the walls of the locked room. He was able to do this, not simply by virtue of his glorified body, but by virtue of his divinity acting in and through his glorified body. Although Christ can appear when, where, and how he pleases; still, his risen body is physical and retains the essential properties of a physical body. For example, his glorified body is always in a place equal to itself (even in heaven), though he need not be in a limiting or containing place. Likewise, the glorified body of our Lord must cross space in order to move (i.e. it does not and cannot teleport, simply falling out of existence in one place and entering into existence in another place). The glorified body of our risen Savior is a true, physical body; yet, the life it lives is the life of the spirit, a divine life which greatly exceeds natural life – not contradicting nature, but elevating it and bringing it to perfection. For more on this, consider St. Thomas’ treatment of the glorified bodies of the saints: ST Supplement, qq.79-85 (especially q.82 on impassibility and q.83 on subtlety). Something I've wondered: How did Mary participate in the Resurrection before her Assumption? Nick, An interesting question ... through the sacraments (especially the Eucharist) and the gift of God, her soul participated in the Resurrection and in the life of heaven through grace (which is the seed of eternal life) ... it does not seem that her body participated in this (except in accord to the quieting of the passions, which were always ruled by her reason) until after her Assumption. Of course, her prayers were extremely important in meriting the descent of the Holy Spirit and the gift of Confirmation. IMO the glorified body exists neither in time or space. Time & Space are 'accidents' to the body. John Paul II: 'Heaven is not a place but a state." Hence no extension in space, it is invisible, but still a 'physical body', but in its perfect state.